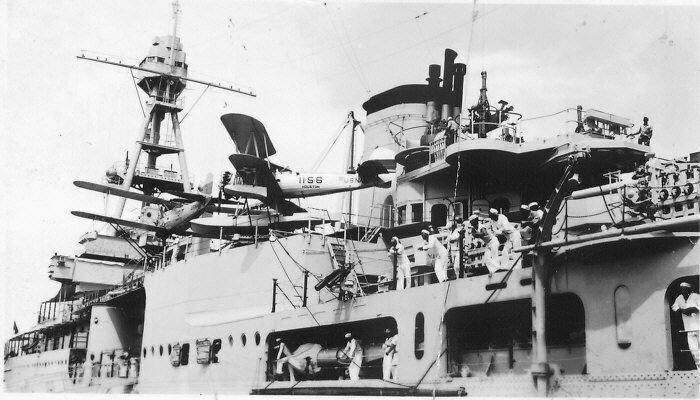 The USS Houston (CA-30) in 1935. The Houston was commissioned in 1930 and sunk on 01 Mar 1942 along with HMAS Perth at the Battle of Sundra Srait. Of her crew of 1008 men, 638 were lost in the battle and 104 died as POW's.